Rhonda Manyak was inspired to write this story when she experienced the loss of her youngest child who left behind a grieving toddler. 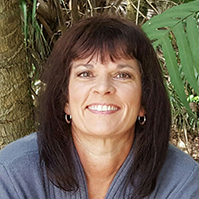 Manyak has lived in Venice, Florida, for thirty two years where she and her husband Mike have raised three children. Now raising their two and half year old granddaughter, helping her to cope with the loss of her mother. Manyak knows first hand that the emptiness left behind due to a death of a loved one can be just as devastating to a young child as it is for an adult.